Learn how to change or update your sales tax code(s) in Kashoo when a jurisdiction changes their tax rate. There are times when your jurisdiction (Federal, State, Provincial or Municipal) changes their tax rate and you need to update the rate that you are charging your clients. 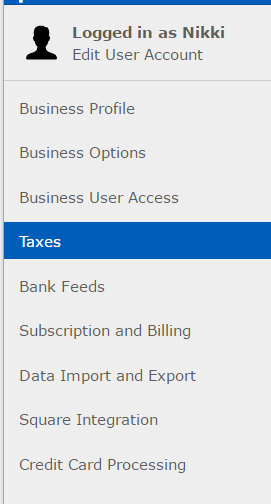 To change your sales tax settings go to the Settings and select the Taxes page. 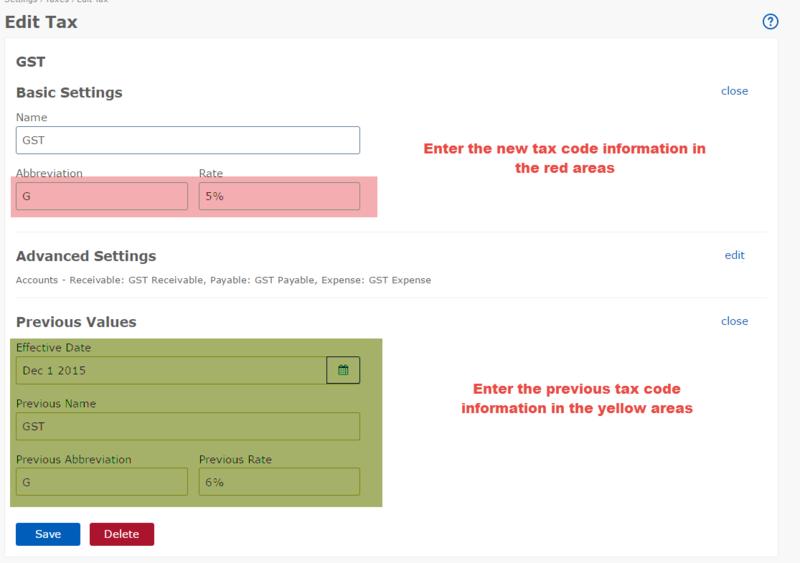 To change your tax, click on it. For example, the GST rate changed from 6% to 5%. To change it we add a new Abbreviation, change the Rate and enter the new rate's Effective Date. Then make sure to enter in the Previous Name, Previous abbreviation and Previous Rate Of course, after you make the changes, click the Save button. By entering the Effective Date, any new transactions created before it will use the previous rate while transactions on or after that date will use the new one. Need more help with tax settings? For additional tax settings advice, please view our Setting Up Taxes - Advanced article.